Another win for the greatest boxing champion in the world, Manny Pacquaio! Philippines are all celebrating his victory and his 8th belt win!! What a talented fellow, right? I've always been so proud to be a Filipina but Manny just made me more prouder. :) Congratulations, Manny Pacquaio! There's something I've been meaning to share to you lately but haven't gotten around to it due to my uber busy sched. :) Well, here it is, finally! When Sophie came back from Canada, she brought home with her a few MAC stuff and that included MAC Show Orchid. 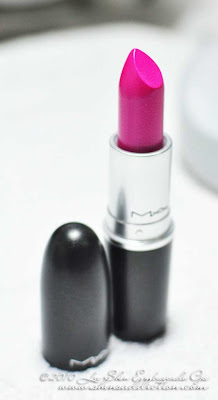 It was quite serendipitous because I've been lemming for this since I let it slide during the MAC Riveting Collection. 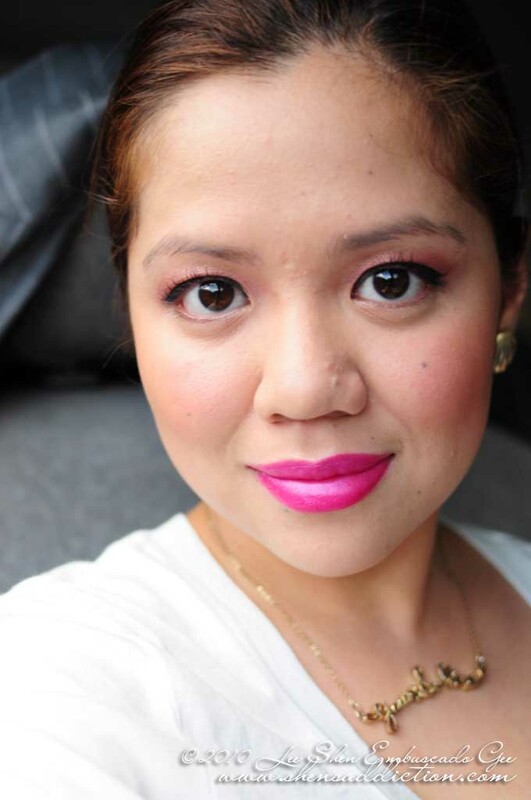 I was surprised on how Show Orchid easily complimented my asian skintone. 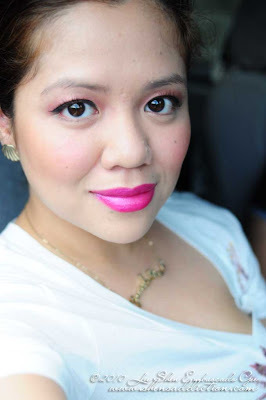 I really thought that the purplish undertone of the lipstick won't suit me but it did! Giddy giddy me! 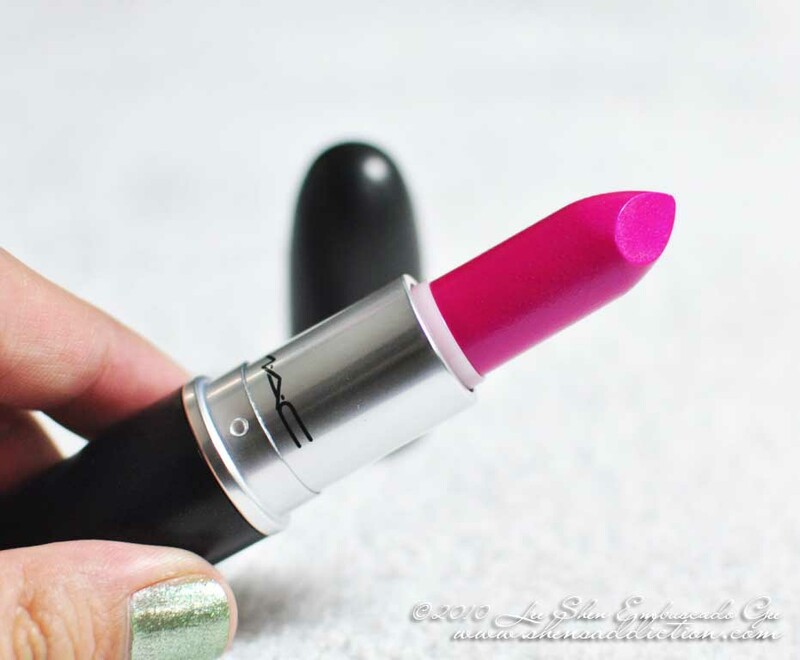 This may just be a lipstick, but when presented a second chance to re-do something, maybe there's more than one reason not to say no, right? 2. Easy to apply, I didn't even use any lip brush. 3. 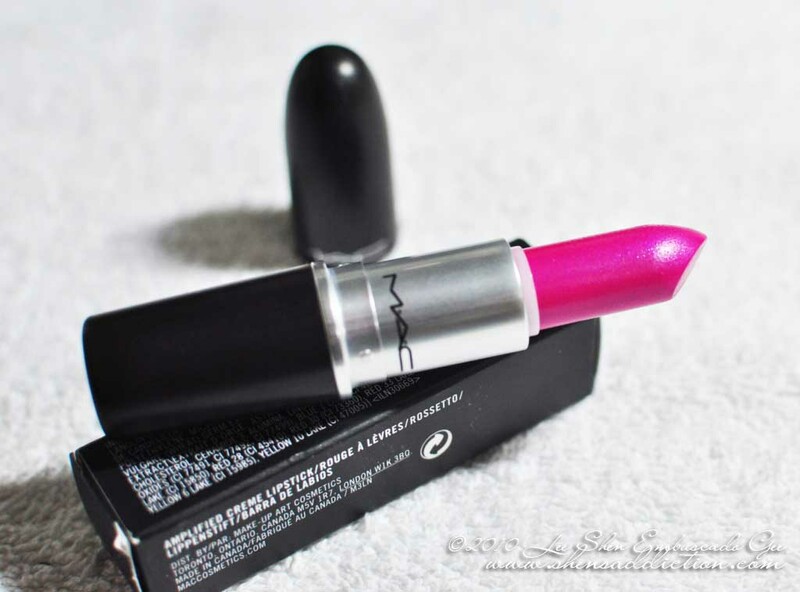 Lasts a lot longer comapred to other MAC lippies I own. This one lasted two rounds of Shabu-shabu meals, Java Chip Frap and lots and lots of chicka time. No retouch whatsoever! 7. The sheen.... you'll love the sheen! Well, I really can't say I don't like this part because some people like the fact that they get the LE collection or those only available abroad. Overall, you MUST get your hands on this. We may never know what occasion we will get to wear this but this is really really something that you must have on your stash! I am enabling you. :) Hehehehe! I guess the most important thing when rocking a shocking lipstick is to just enjoy it. 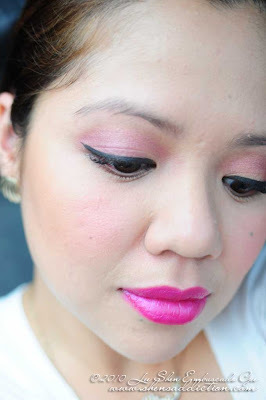 :) Many people will disagree but the one reason why I keep on getting bolder and bolder in my makeup choices is that when I just focus on what makes me happy... people see it and they, too, appreciate colors like this. And isn't more fun when your friends and loved ones appreciate your choices? Sis ganda ng color, so you! Great week ahead! it looks so 3D hehehe i love that it pops out, very vibrant too! girls with thin lips should give this shade a try! 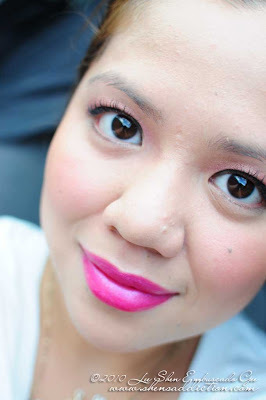 I love pink lippies too Shen! it looks great on you! 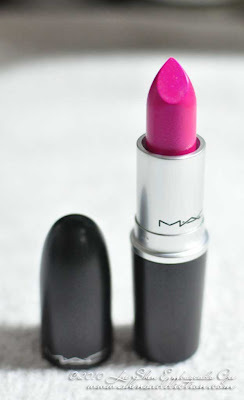 and coming from a girl who doesn't usually like pinks...it was a huge deal! woahah! super nice talaga sayo hot pink shades, sis. you totally rocked this look. youre quite blooming lately eh? :) woot! :) miss you!